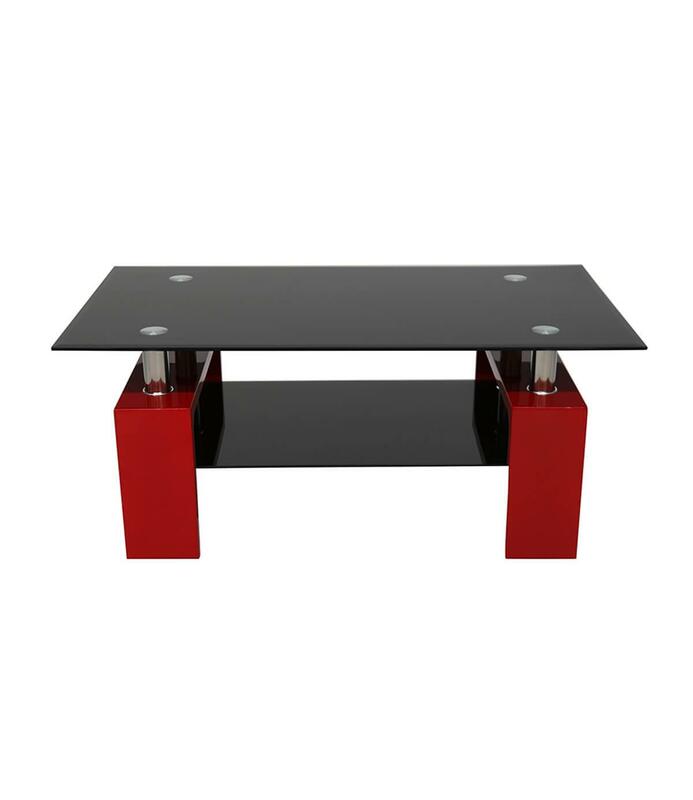 The Red High Gloss Black Glass Coffee Table is a modern and contemporary table that will leave a lasting impression with your guests whilst also being a functional piece! Boasting the counter top space and an additional shelve underneath for extra storage in your Living Room. Constructed with strengthened tempered black glass, featuring chrome finished touches and of course the highlighted red gloss frame to provide modern elegance with a pop of colour.